Pottery Barn is always a source of inspiration for me. I saw a painted snowman pillow that they have for sale and knew I wanted to do something similar. 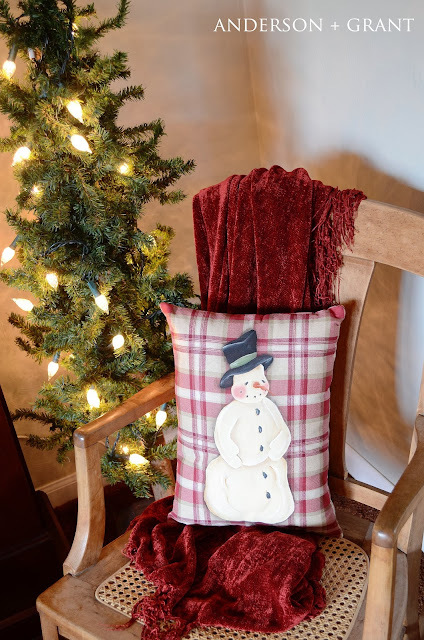 Their pillow is made with a plain, neutral background, but I wanted something a little more eye catching. 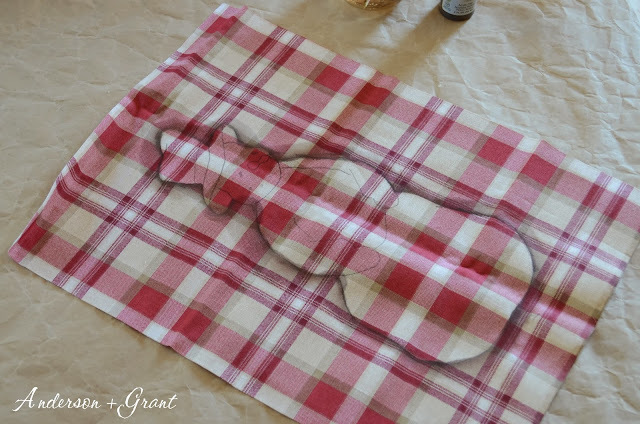 Jo Ann Fabrics has a great red plaid print in the bolts of home decor fabric that I knew would be perfect. 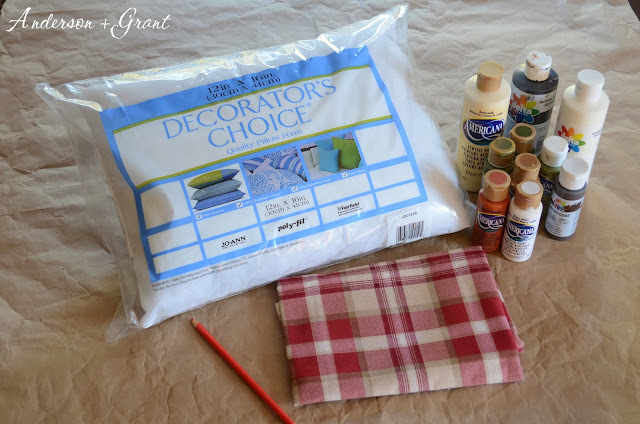 Home decor fabric holds up better and makes a nicer pillow than regular weight fabric. 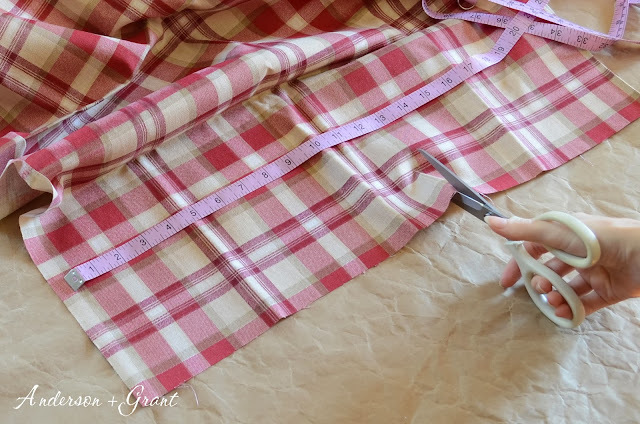 After cutting your fabric, lay the pattern down and trace it onto the fabric using carbon tracing paper . 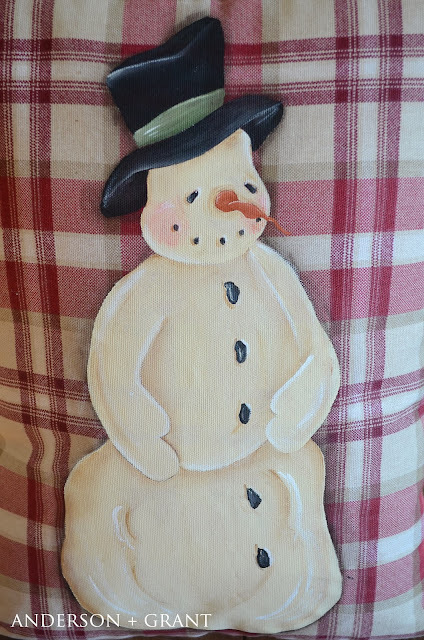 Shade around your entire snowman with burnt umber paint that has been watered down. 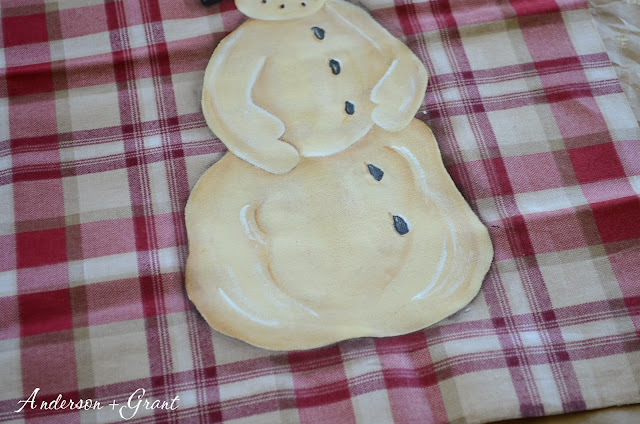 Paint your snowman....I used a mixture of light buttermilk, cocoa, and white wash (all from Americana). 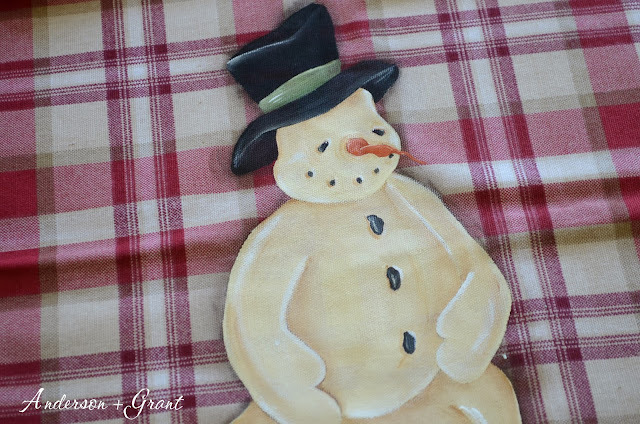 I painted one section of the snowman at a time by basecoating with the light buttermilk and then shading and highlighting with the cocoa and white wash. 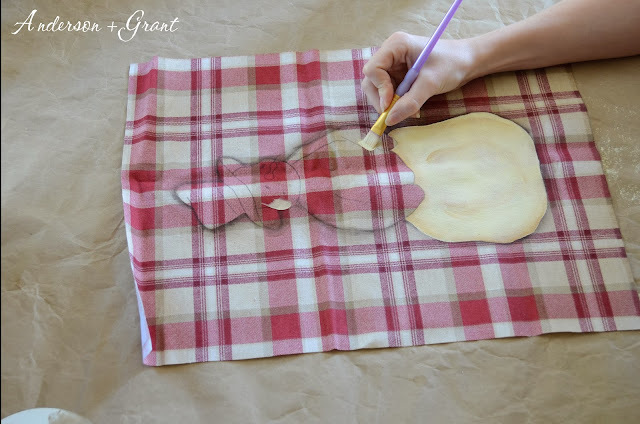 This can be done in all one step with one coat of paint if you are using the Americana brand (it's a thicker paint). 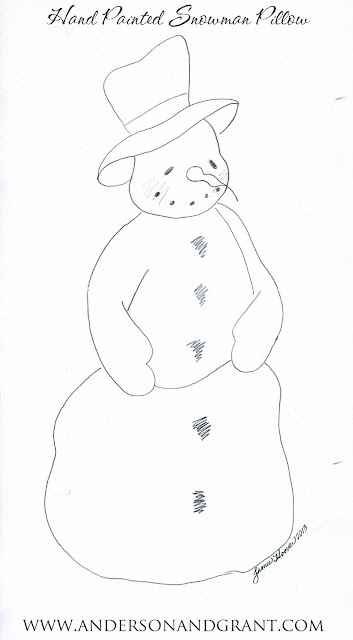 Use black to paint the eyes, mouth, and coal buttons and white wash to highlight. 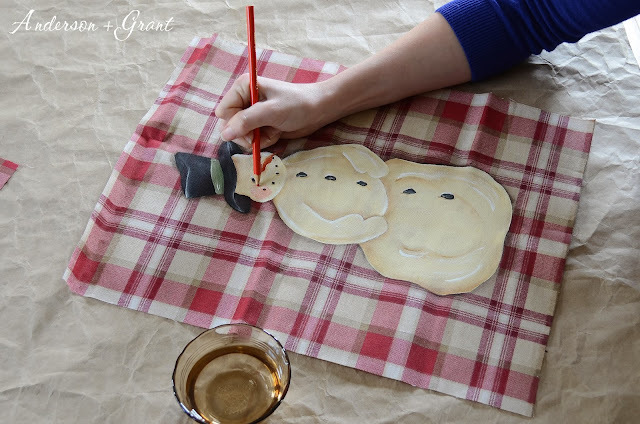 Then paint the nose with burnt orange and highlight with the white wash.
To make the snowman's cheeks rosy, very lightly dampen the cheek area with water and use a red-orange colored pencil to color in his cheeks. 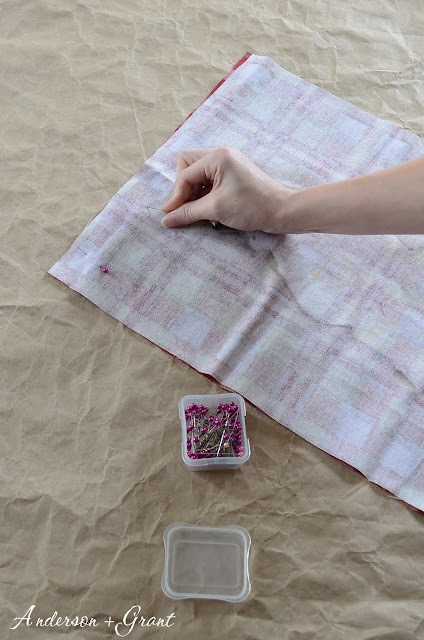 Then use your finger to blend the color into the fabric. 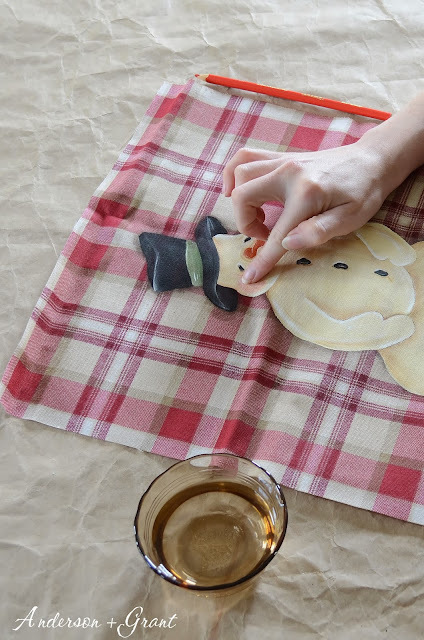 It's better to start with less color and have to add some more than to over color his cheeks. 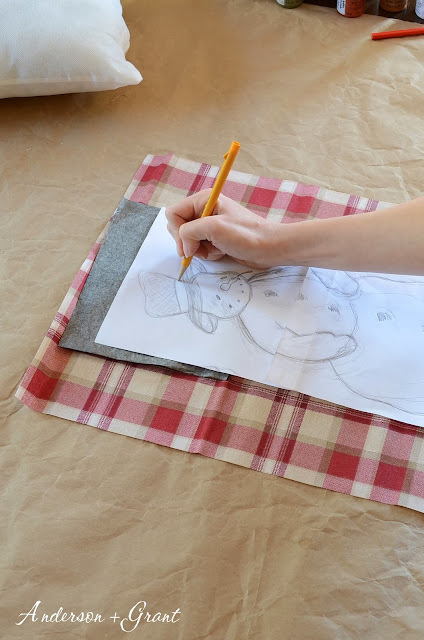 Pin the two pieces of your pillow together with the outside of the pillow facing each other. Sew the pillow leaving a space at one end open to put the pillow form inside. And that is it! 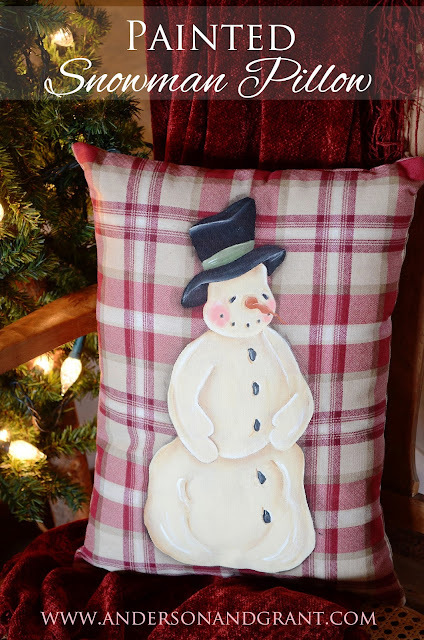 You've created your own hand painted snowman pillow! It looks nothing like the Pottery Barn version, but I wasn't really going for a copy-cat version.....just used them for inspiration! Do you like my version? 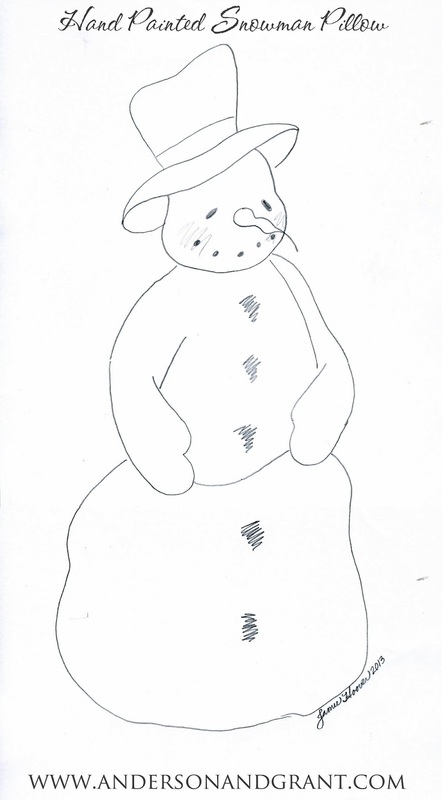 In case you are interested in painting this snowman on something, here is the image that I sketched. Right click on the picture to save it to your computer.